Keep your crown healthy and looking good with help from the hair care experts of Cutting Edge Express in Arkadelphia, AR. We are a family-owned barber and beauty shop that offers comprehensive salon services for all ages. From haircutting and coloring to hair waxing and perming, Beth Waggoner and the rest of our experienced team are here to help. Rest assured that you are working with the best when you employ our services. We are staffed with experienced barbers and hairstylists. We carry professional hair products that you will surely love. We offer after-hours services for your added convenience. We provide excellent hair care services at reasonable rates. Need Barbering Services? Come to Us! Get the best shaves and beard trims at Cutting Edge Express. 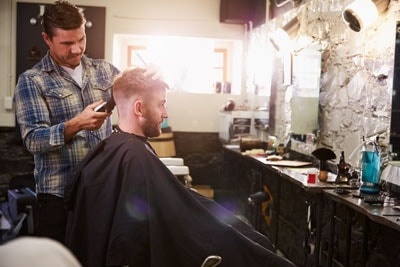 Our professional barbers are here to satisfy all of your needs. Whether you want hot shaves or clean cuts, we have you covered. Visit our barber shop today, or give us a call to schedule an appointment. We look forward to serving you soon!